Lilac, yellow, green, and bright mauve pink wedding colors perfect for a spring or summer wedding or event! Pair up with black, gray, or kraft or khaki brown. Add a sparkle of gold or silver for an elegant touch as shown on our tulip wedding invitations! 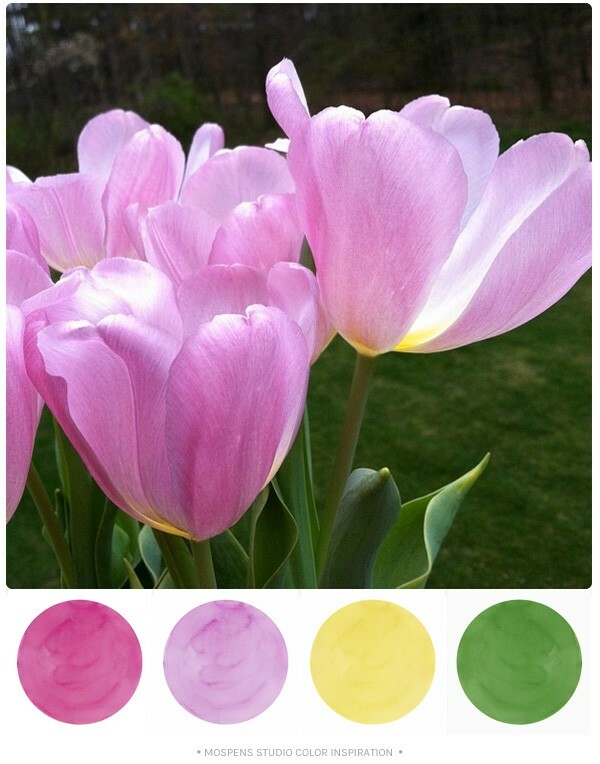 Have fun with choosing your Spring or Summer inspired colors. Choose colors for your event, wardrobe, or decor that mean the most to you. Surround yourself with what you love. Enjoy and Happy Summer to YOU!